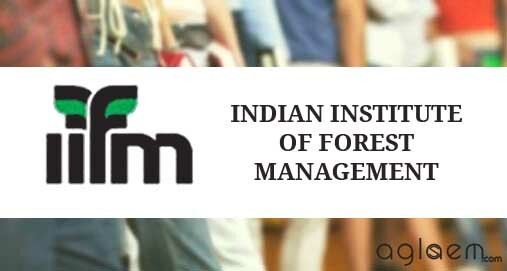 Indian Institute of forest Management, Bhopal, a premier sectoral management institute funded by Ministry of Environment, Forest and Climate Change Government of India, invites applications for its X Batch Fellow Programme in Management (2018-2022) commencing from July 2018. Interested candidates can check all the details regarding IIFM FPM Admission 2018 from this page below. Latest: Application form for IIFM FPM 2018 Admission is available for download. Click on the link given below to download. A Doctoral level Programme titled the Fellow Programme in Management (FPM) for people who need specialized knowledge, skills, and attitudes for positions requiring conceptual and visioning skills. The Fellow Programme is an important step in that direction. The FPM is approved by AICTE. Interested candidates are required to submit their applications in the prescribed application form with all supporting documents mentioned in the form. Application form and details about the programme are available at Institute’s website www.iifm.ac.in/fpm at FPM admission page or can be download from link given below or can be obtained in person or by post by sending a request along with bank draft of Rs. 500/-. Application form: Click here to download the Application form. Application Fees: Completed application form (accompanied by a Demand Draft of Rs.500/- for forms downloaded from website) in favour of Director, Indian Institute of Forest Management, payable at Bhopal should be sent to Chairperson, FPM Admissions, Indian Institute of Forest Management, Nehru Nagar, Bhopal 462003, MP so as to reach IIFM latest by June 01, 2018. The maximum age limit is 45 years as on July 01, 2018. A Bachelors degree with at least 50 percent marks and Master’s degree (minimum two years prescribed duration after 10+2+3 years of formal education) in relevant discipline (relevancy as decided by the IIFM) with at least 55% marks, including Five year/ Four-year Integrated master’s degree programme or Professional qualification like CA, ICWA, CS with at least 55% marks. For IIFM Graduates, who have done PGDFM and IIM graduates who have done PGDM, the minimum OGPA of 3.00 in 4.33 maximum scale, is required. All India and allied services officers, officers in scale II of Nationalized Banks & officers of equivalent rank of PSUs can apply directly. Candidates who fulfil the required eligibility criteria as above and do not have any of the above qualifying test scores, but have five years’ experience (post their respective eligible degree) shall be called for the internal test and those who qualify in the internal test will be called for Presentation and Personal Interview. Final selection will be based on criteria as decided from time to time by the Institute. faculty areas of the Institute. A maximum of ten students can be admitted each year. Each student would be given a monthly fellowship of Rs. 16,000/- in first and second year; Rs. 19,000/- in third and fourth year during the program. A contingency grant of Rs. 35,000/- per year would also be provided. purchasing relevant books, journals, stationery etc. For more information, Check information brochure: Download information brochure.